Founded in 2005, H&T DMC has been recognized as one of the leading destination management companies in Korea. We are a team of experienced tour operators and DMC specialists with extensive knowledge from working in a variety of fields and industries. We provide dedicated and professional service for accommodations, transportation, events, restaurants, and manning. If you want a new destination with fresh attractions, we are the right experts to assist you. -	We make tailor-made tours depending on client’s needs: budget or luxury class tours, short or long-term tours. -	We respond to clients’ requests in a quick and efficient manner. -	We offer detailed information on destinations -	We deliver authentic and cultural experiences. -	We are passionate and professional. -	We are flexible and patient from the development to the implementation. -	We focus on making the most enjoyable and comfortable stay for our clients in Korea. "It was a pleasure working with you on this project. You have been very efficient when responding to all our changes and questions. I thank you for all your hard work on this complicated meeting. I hope that we can work together again in the future." "We highly appreciated the ground support H&T provided in a very efficient manner, which greatly contributed to our conference’s success. Thank you again for your precious help. " "Thank you so much! I can’t tell you how much we appreciate all you did for us. I hope Vicky knows how wonderful you are. I truly enjoyed working with you. You did a great job for us and I hope we get a chance to work together again." "I’d like to thank you and your team for an absolutely outstanding job! We have received amazing feedback from our discerning delegates of global insurance leaders and this is largely due to your team’s creativity and professionalism. I really enjoyed working with the H&T team." Korea is one of the most exuberant and glamorous countries in the world. Explore the fascinating combination of past and future! Korea provides unbeatable value, as its wide variety of venues, accommodations, and activities suit every budget. 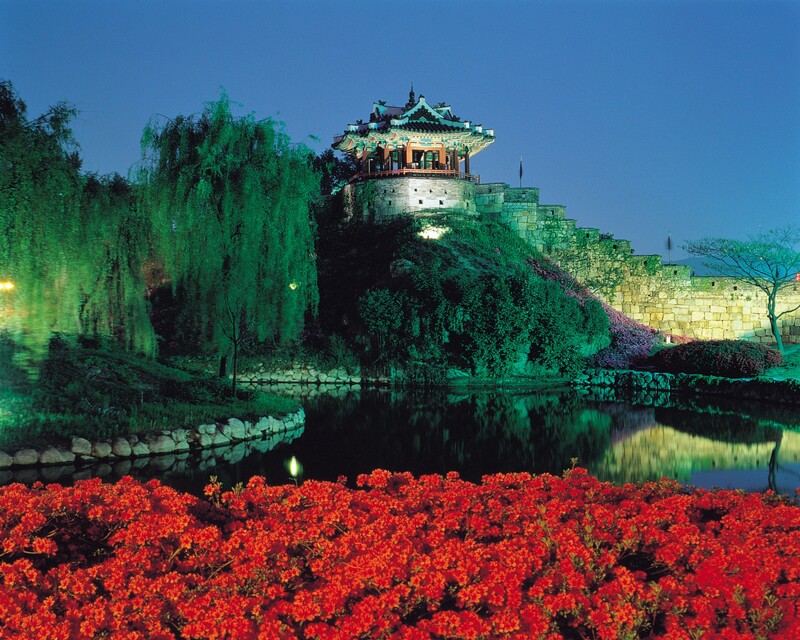 You can also explore dazzling living history, including royal palaces, traditional Korean housing villages, and temples. If you are a fun lover, you will be excited as some shopping areas and entertainment districts never close. Convenience: Korea has cutting-edge infrastructure, including world-class accommodations, modern transportation systems, and ubiquitous broadband Internet access. 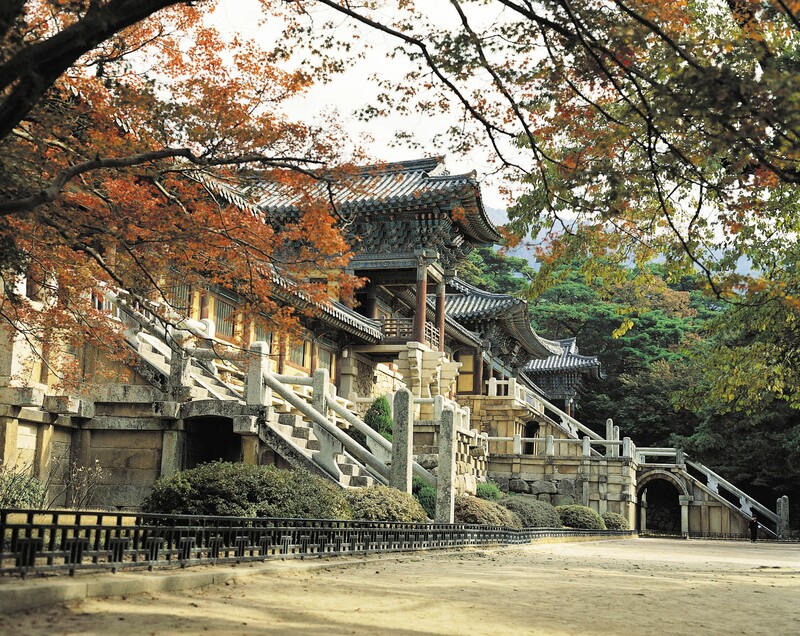 Culture & History: You will immediately notice the abundance of palaces, temples, and art galleries in Korea, which attest to its rich history and wealth of cultural assets. Entertainment: You will never run out of things to do in Korea. 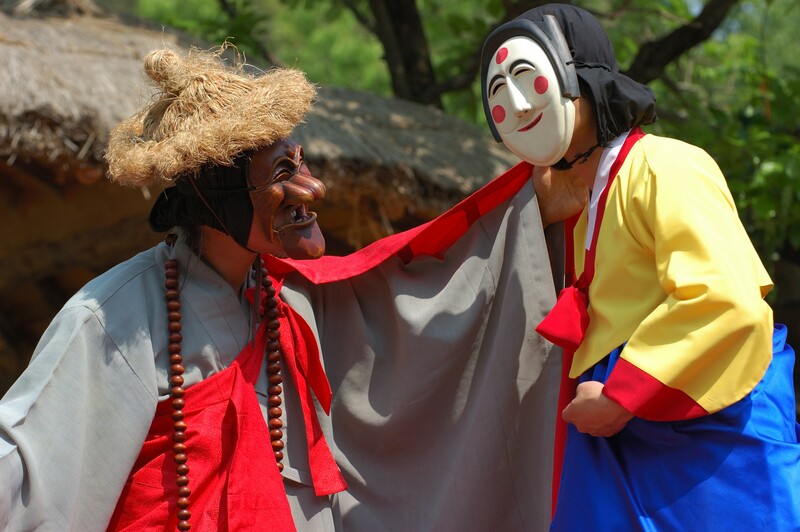 Korea hosts over 600 festivals every year. It will be hard to find a more fun-loving and action- packed city. Cuisine: Food is definitely one of Korea’s greatest draws. You will have a wide range of tastes and styles from traditional Korean cuisine to international fine dining. Hospitality: Korean people offer warm hospitality, making visitors feel welcome and comfortable. You will surely leave Korea with wonderful memories of them. Asia Culture Center, which is the largest cultural center in Asia, opened in the southwestern city of Gwangju to provide a window into pan-Asian culture. Songdo became a new model of city development, offering citizens beautiful streets and parks to walk and fabulous architecture and night views to enjoy. Suncheonman Bay Garden, the first national garden, is where people experience the beauty of Korea’s outstanding natural ecosystem and protected wetland. A huge department store recently opened in Pangyo, within the Gyeonggi Province. This store is the largest department store in the Seoul metropolitan area. South Korea’s beer market has become very diversified thanks to the rise of craft beer. The craft beer culture continues to spread, capturing the attention of consumers. 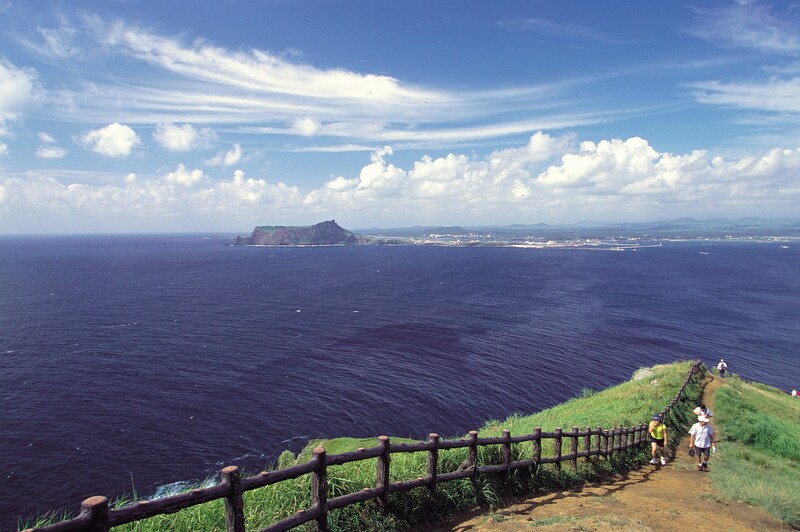 Enjoy the coastal view from the edge of the Seopjikoji in Jeju. 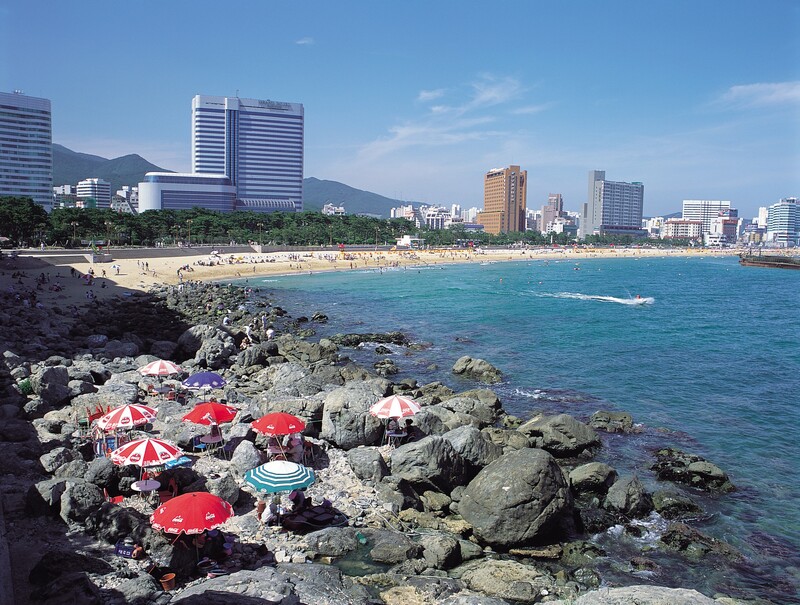 Relax on the beautiful sands at Haeundae Beach in Busan.